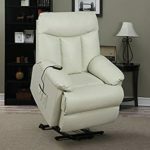 A stand up recliner utilizes motors to control the reclining and lifting capabilities of the chair. 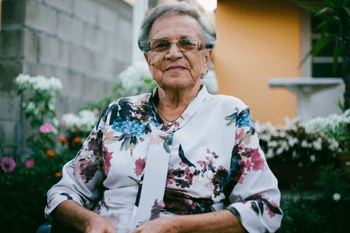 This can be highly beneficial for individuals that have difficulty standing up or with various medical conditions, such as diabetes, heart issues, edema, and more. There are a large number of chairs available. 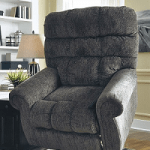 It is difficult to decide on whether a powered recliner is right for you. What specifications you should look for to help address your concerns. Here are four questions that you may be afraid to ask. Does using a stand up recliner mean sacrificing independence? Power lift recliners can actually help to increase independence. If standing up and sitting down is difficult and you often require assistance to do so, these chairs can be a great way to make that help less necessary. 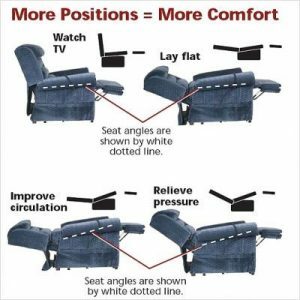 These recliners can also help to aid in certain physical conditions, such as heart problems, muscle and joint pain, and more, which can help to reduce your reliance on others. Will using a lift chair make my muscles weaker? Because the lift chair helps to lift the body up towards a standing position, many people think this might make their muscles weaker. This is a potential issue; however, it can be avoided by using the capabilities of the chair properly. The chair is able to be adjusted to anywhere between the sitting and standing positions. This allows you to only use the chair as much as needed. By using your muscles as much as possible when standing and sitting, you will be able to maintain your current muscle strength and even increase it over time. 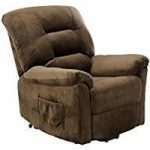 Can I find a high-quality lift recliner on my budget? Lift chairs utilize high-quality parts and include either single or dual motors that allow for specific chair positioning. Because of this, some of the chairs can carry quite high price tags. Despite this, there are also plenty of models that are offered at a more budget-friendly price point. Certain materials, like leather, and some features, such as heat, massage, extendable footrests, lowering armrests, and others, can significantly increase price. There are also a number of chairs that are more affordable and still include a number of positions, ample support and comfort, and more. 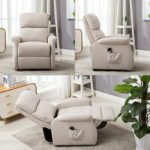 How do I make sure to select the right size stand up recliner? You could have the nicest chair on the market, but it won’t be very beneficial if it is not the right size. Determining the correct size chair depends mostly on your height and weight. They make a wide variety of sizes to fit users from under five feet to over 6.5-feet tall. Many chairs also come with a weight limit of around 300 pounds, but some can range up to 500 pounds or even higher. No matter what your size, there is no need to be embarrassed when purchasing a lift chair. Chairs come in a variety of heights and widths to cater to all body types and sizes, and the proper amount of comfort and support are critical to ensure that you make the right choice. If you are really interested in getting some more information on the process that your health care provider had undertaken there is some information at the PECOS website. Step 2-You filled out form 849, which is the form for medical necessity, your health care provider can help you with any details. Down load your copy of the certificate of Medical necessity Click here for form. Fill out this form, (once again) if you need any help answering any of the parts please discuss with your healthcare provider. They should be able to help you. If you fit these conditions you will qualify for rebate from the government through Medicare. The seat lift mechanism is part of the treatment plan from your doctor, in other words it will help the condition by stopping or slowing down the condition. The device operates smoothly, you can control the device and you can sit and stand without additional help. The motorized portion of the lift recliner is the part covered by Medicare. If you qualify for the government program, Medicare, may cover up to 80% of the amount for the motor. So, Medicare will reimburse you for up to 80% of the “seat lift mechanism”. The seat lift mechanism is the mechanical part of the chair. This does not include the upholstery, armrest and cushions. To find out what portion of the lift chair you selected is considered motorized send an email question to the chair provider. I am considering purchasing your Model XXXX lift recliner chair. This chair sales price is $XXXXX I am qualified for Medicare reimbursement and I need to know what portion of your chair is considered “seat lift mechanism”. Please provide this amount in dollars. (as opposed to percentage) And within 48 hours so that I may start my purchase process. The maximum allowable payment for Durable Medical Equipment is determined by the state. Below is a chart which tells you the maximum for the state at the time of publishing this article. No States below are part of the competitive bidding program for lift chairs. Please check with the Medicare office to ensure that there are no changes. When you have submitted your claim and it has been filed, you can expect a response within 60 days. They will do one of three things; 1.) send you a check or 2.) ask for missing information or 3.) tell you why it was denied. If you follow the instructions included in this article you should be well prepared to insure you receive payment. So, that is it, if you have any questions please drop us a note we will be looking out to see how we can help get you an answer. Are there any other steps that we missed? Let me know. If you are looking for a stand up lift recliner consider our article on selecting the perfect chair. Here is a chair that has a motorized lift seat and is easy on the wallet. Stand up chair for elderly are frequently used. They help individuals that lack balance or core strength as well as those with more severe mobility issues. The chairs are designed to assist people from a sitting to standing position and visa-versa. This can be a blessing to the user and the caregiver. To receive optimum benefits from a lift chair it is important to research your options. There are several categories of lift chairs for the elderly. Determine which chair best suits your needs before investing. The price range for power lift recliners varies. The price depends on the type of features included in the chair. Prices range from $500 to over $3000. Most people will spend an average of $1000 on a lift chair regardless of the style they choose. Does the user have a long-term need for the chair or is it a temporary disability? Check with your local medical supply agency for rental options for short-term injuries. 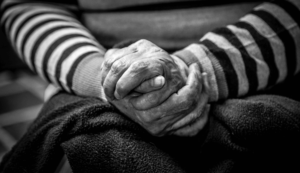 Alzheimer’s Disease or other dementia-related conditions warrant careful consideration. They may be confused by the remote control causing frustration and increased agitation. Attempting to get out of the chair while in a reclined position could be a safety hazard. Will the individual use the chair for sleeping? The chair should offer a wide range of positions for optimal comfort. This is especially important for individuals who spend extended amounts of time in power lift recliners. Does the user experience edema or suffer from circulatory problems? Some chairs are better designed to address this type of issue. 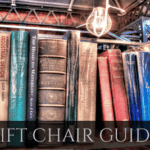 The standard lift chair is the most basic. It does not offer any fancy options but it does get the job done. Its lift function operates in the same manner as other lift chairs but the backrest does not recline. This may be a safer option for a cognitively impaired person. The controls should only be operated by a caregiver. The two-position lift chair operates with one motor. This controls the back and the leg rest at the same time. The average two-position chair offers some versatility. It may be a good choice for individuals looking for a comfortable chair for reading, watching television and general comfort. The three-position lift chair utilizes two motors to operate the back and leg rests independently of each other. The chair is also known as an infinite-position lift chair due to its extreme versatility. A three-position chair is a good option for individuals who spend long periods of time in their chair. A person with limited mobility should change positions frequently to avoid pressure sores. This chair offers a simple solution. The chair can recline flat or adjusted to a comfortable sleeping position. The leg rest can be elevated over the user’s heart. This position, known as the Trendelenburg Position, is frequently used to reduce edema and increase circulation in the legs and feet. This chair provides all of the features available in a three-position chair with the bonus of an adjustable seat. The seat box can be raised and tilted. The operation is similar to an adjustable car seat. Raising the lower back reduces the pressure on the spine. The zero gravity feature promotes proper spine alignment, relaxes back muscles, improves circulation and expands lung capacity. Users of zero gravity lift chairs tout the extreme comfort provided by this feature. Give it a test run at your local dealer’s showroom before rejecting it because of the expense. No one would willingly choose to wear an ill-fitting pair of shoes. It would be silly to purposely decide to be uncomfortable. Lift chairs for elderly users range in size from petite to heavy duty. Choosing the correct size will ensure maximum comfort. There are several ways to determine the proper sized chair. Ideally, the user’s feet should rest flat on the floor while sitting upright with their back against the backrest. The seat box should be wide enough to accommodate the user’s hips at their widest point. It is not always possible to test the chairs in person. This is a general guideline of sizes available. Specifics may vary between manufacturers. Petite/Small. These are the smallest stock lift chairs available. The chair has an elevating leg rest and a limited reclining backrest. It is designed for comfort while reading or watching television. It may not be well suited for sleeping. Medium. Accommodates an individual 5’4″ to 5’10” with a 375-pound capacity. Large. Accommodates an individual 5’11” to 6’2” with a 375-pound capacity. Tall. Accommodates an individual 6’2″ to 6’8″ with a 375-pound capacity. Some manufacturers offer leg extensions as an alternative. Wide/XL. Offers a two to four inch wider seat with a 500-pound capacity. Heavy Duty/XXL. Offers a four inch wider seat with a 600 to 700-pound capacity. Most chairs are available in a variety of upholstery options. Lift chairs are designed to blend with most decor. Look beyond aesthetics when choosing upholstery. Consider the user’s comfort. Leather is an appealing choice but some people find it cold or too hot and sticky. Is incontinence an issue? There are many easy to clean and stain resistant options. Many manufacturers offer a variety of options for lift chairs. Determine which type of cushion best suits the user’s needs. For instance, a tufted backrest will be firmer than a pillow style. Some manufacturers offer a left-handed remote. This simple adjustment may make a world of difference for ease of operation. There is a huge selection of options for your chair. These chairs may have optional heated seats and massage features. These items may seem like a luxury expense but could provide a great deal of comfort to an individual who spends extended periods of time in the chair. Inquire about a battery backup in case of electrical outage. Extra options such as cup holders and magazine pockets are available on some models. Lift chairs offer many therapeutic benefits. 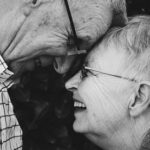 They can provide hours of comfort and increased independence for your loved one. Take time to research the best fit for your individual needs.